With a keen perception of the market trends and with a far sight vision, we are efficient in Trading and Supplying a wide array of Vehicle Tracking System, Fleet Management System, Container Tracking System, Personal Tracking System, Heavy Equipment Management System, Fuel Monitoring System, etc. Our offered systems are precisely designed by our reliable vendors using contemporary technology to meet the international standards of quality. Known for their compact design, hassle free performance and long service life, we provide these systems in numerous specifications. We are providing our products with brand name Fleetos. We are providing Installation Service to our client. 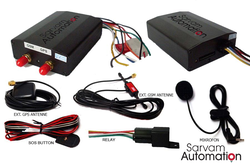 Leading Wholesale Trader of Vehicle Tracking System from Vadodara. Pioneers in the industry, we offer Fleet Management System from India. 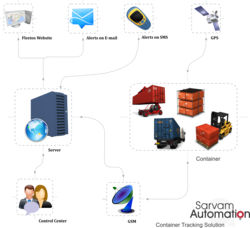 Pioneers in the industry, we offer Container Tracking System from India. Our product range includes a wide range of Personal Tracking System. Offering you a complete choice of products which include Heavy Equipment Management System. 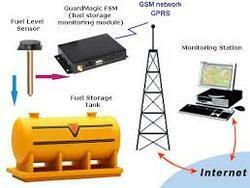 Pioneers in the industry, we offer Fuel Monitoring System from India. 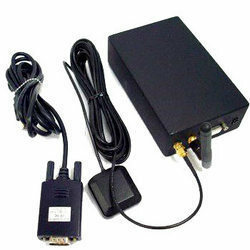 Offering you a complete choice of products which include GPS Tracking System. Offering you a complete choice of products which include School Bus Tracking System. We are a leading Wholesale Trader of Bike Tracker System from Vadodara, India.